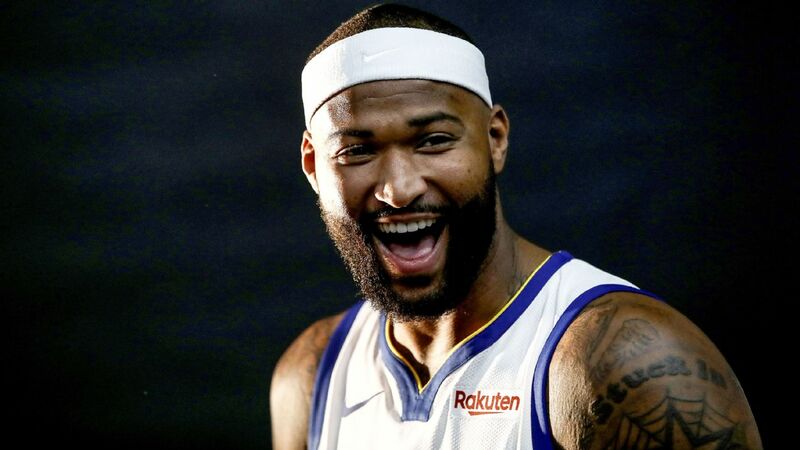 OAKLAND, Calif. -- Golden State Warriors center DeMarcus Cousins will see his minutes increase as he continues his comeback from a torn left Achilles tendon. Cousins made his return on Jan. 18 in a win over theLA Clippersafter missing almost a year to rehab. He is averaging 23.4 minutes per game and is expected to start playing for longer stretches after being capped at around the 25-minute mark. 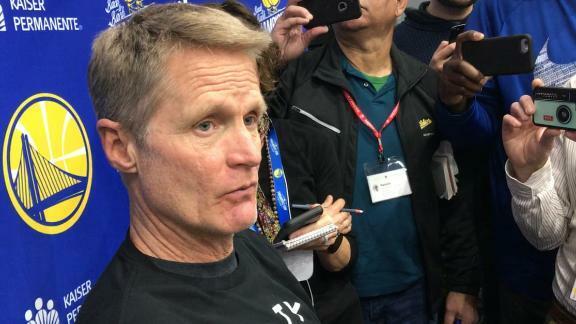 "It just depends," Warriors coach Steve Kerr said following Wednesday's practice. "We'll see how the games go. I don't think we'll change the plan too much in terms of how we're going to play him in the rotations and all that, but I think once we get back into the rhythm we can absolutely play him for longer stretches, play him down the stretch if we like. "We have more options, and Rick is not gonna be concerned with the minutes," Kerr added, in reference to Rick Celebrini, the Warriors' director of sports medicine. Kerr said the Warriors have no particular numbers limit in mind, but they will watch Cousins closely. "It was just sort of understood that we looked at the calendar, we had about a month, maybe a little more, between the time he came back and the All-Star break coming," Kerr said. "So that was the plan. We executed our plan. He did a great job, DeMarcus did. So now we're entering a different phase of the season. We'll see how it goes, but nothing's set in stone." Cousins, who has played in 11 games this season, is averaging 13.9 points and 6.8 rebounds. He sat out the second night of a back-to-back prior to last weekend's All-Star break, a Feb. 13 loss to the Portland Trail Blazers. "I thought the last few games he just looked a little tired, which is to be expected," Kerr said. "We were a good month into his recovery or into his return, I should say. And the first few weeks he shot the ball a lot better than he did the last few games, so I thought he maybe looked a little fatigued. So I'm hoping the break helps him out and he's able to come back and start shooting the ball a little bit better. I'm sure he will; that's what his track record suggests. And then for the whole team we got 25 games left, so find a rhythm for himself individually, but continue to work on his rhythm with his teammates." Kerr noted that the Warriors were able to scrimmage in Wednesday's practice, something they don't usually do during the regular season. "We scrimmaged today," Kerr said. "Maybe we've scrimmaged once or twice all season since training camp, since opening night. In camp we scrimmaged every day pretty much, but this is very rare. But when the guys have five, six days off whatever it was, and then a game [Thursday against the Sacramento Kings], we need some rhythm. It's kind of what I expected, it was a little sloppy, but we'll come back in for shootaround [Thursday], we'll have an active shootaround, get a lot of shots up and hopefully get our footing [quickly] in the Sacramento game." 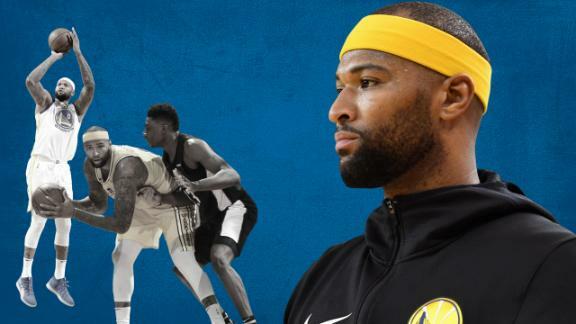 Steve Kerr expects to play DeMarcus Cousins more down the stretch when the Warriors get back into rhythm. Since DeMarcus Cousins returned from injury, these are the most notable ways he has changed the defending champs on the floor.